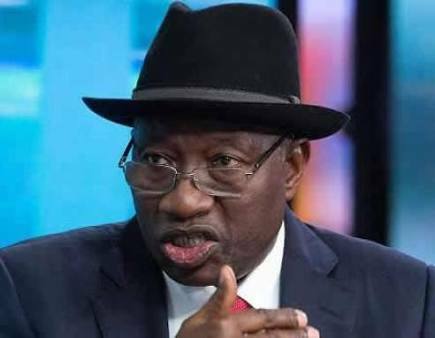 Former president Goodluck Jonathan says it is possible for an individual to be corrupt without stealing a kobo, especially from the nation's treasury. Jonathan said this in his book, ‘My Transition Hours’, while trying to explain the difference between ‘corruption’ and ‘stealing’, which, according to him, led to “false claims” that he said “stealing is not corruption”. “Immediately after the 2011 elections, my administration was repeatedly accused of being corrupt,” Jonathan said in the chapter 5 of the book, titled ‘Corruption And The Blame Game’. Jonathan went on to explain his ideas about corruption, but only after he had denied ever saying ‘stealing is not corruption’. “Before I go deeper into this, let me address a false narrative my detractors have used to besmirch my name. They claim that I once said that ‘stealing is not corruption’. This is not true. Following the constant stigmatization of Nigerians as corrupt, I invited the leadership of the legislature and judiciary to a meeting. “In attendance were the Senate President and his Deputy, Speaker of the House of Representative and his Deputy; the Chief Justice of Nigeria (CJN), the President of the Court of Appeal, the Chief Judge of the Federal High Court and six States’ Chief Judges from each of the six geopolitical zones. Also invited were heads of two anti-corruption agencies viz, the Chairman of the Economic and Financial Crimes Commission (EFCC) and Chairman of the Independent Corrupt Practice and Other related Offences Commission (ICPC). I presided over the meeting with the Vice President. He explained that he proposed that those present at the meeting should work together to curb corruption; ensure that matters of corruption are treated in painstaking and timely manner when presented to the courts, otherwise there would be no effective results; to encourage the parliament to play a fundamental role in passing strong and effective law, as the judiciary can only do little when laws are weak. “The then Chief Justice of Nigeria, Honourable Justice Dahiru Musdapher, in his contributions acknowledged that he was of the same opinion. He added that because of the perception of corruption in Nigeria he had to isolate all the case files before the Supreme Court having to do with corruption charges,” Jonathan continued on page 45 of the book. “He said that after reading through those files, he discovered that more than 70% were not corruption cases, per se, but crimes of stealing. The individuals involved were however not charged to court for stealing but rather in preparing the case files, the prosecutors used the term ‘corruption’. “It was on the strength of his submission that I expounded to say that we should stop calling a spade an agricultural implement. Corruption does not fully capture the act of stealing. A person can indeed be corrupt without stealing a dime. Those who are incapable of comprehending this elevated thought and the mischievous crowd go about claiming till date that I said ‘stealing is not corruption’. They never bothered to even check the context in which I spoke. If you ask many of those clinging to that falsehood and mouthing malicious misrepresentation, to quote where I said it, they will tell you ‘they only heard’. “Let me categorically state that I never said stealing is good and that people should steal, neither did the CJN. Stealing is stealing and instead of calling it corruption, let us call the thief by his proper name and not use a blanket word like corruption. The perception of the Jonathan administration as corrupt played a big role in the victory of the then opposition party at the 2015 presidential election. But Jonathan insisted that this was not so, otherwise his administration would not have “supported the institutional development of secure systems and mechanisms to curb corruption in public service and plug revenue leakages”. “My administration spearheaded the development of the Treasury Single Account (TSA), the Integrated Personnel and Payroll Information System (IPPIS) and the Bank verification Number (BVN)," he added.